Alpine refuge Adriana Moline is the real mountain refuge. It rises at an altitude of 1740 m in the pure and pristine nature. Is a favourite meeting place of most skiers and guests of our cross country Center, rediscover here the charm of snowy mountain and the pleasure of a good company. It has a bar, a restaurant (with simple and genuine cuisine of the place, fireplace for cooking on the grill and spit), showers, changing rooms, 25 beds (bunks with shared rooms with goose down booths every 2 beds). A spacious solarium is pleasing partner for a healthy Tan and relax in a very quiet. The shelter, in the winter season, can only be reached by snowmobiles or cross-country skis. For a lunch or a gourmet break, Adriana Malga Moline is ready to accommodate skiers, hikers and tourists with bar and restaurant service. Here you can enjoy delicious dishes of mountain, rediscovering the taste of healthy and genuine ingredients of mountain tradition: exquisite cheeses, but also grilled meats or spit in the large fireplace. Even a simple snack with coffee and slice of cake here is really special: the beautiful surrounding landscapes are wonderful, transforming each pause in an unforgettable moment. During the summer the Refuge Adriana Malga Moline is a favourite with hikers and lovers of nature walks. A wonderful itinerary set amidst lush greenery accompanies tourists and sportsmen from Highland Base chalet at Campomulo up to 1740 m above sea level of the shelter Moline, where nature is still unspoilt and the air is pure. Those who want to, here you can enjoy a refreshing break and relax in the Sun on the large terrace, before resuming the journey and discover new paradises in the surrounding area. In winter the mountain dairy Hut Adriana Moline turns into an enchanted place: the pastures and Woods get covered with snow and a deep silence reigns all around. 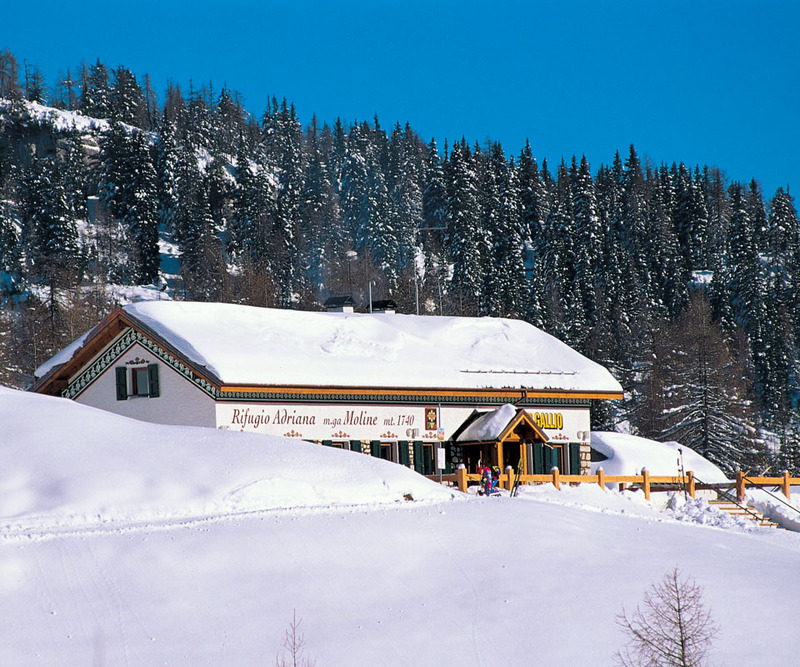 Here they can find refreshment skiers and hikers who arrive on skis or snowshoes from chalet at Campomulo. 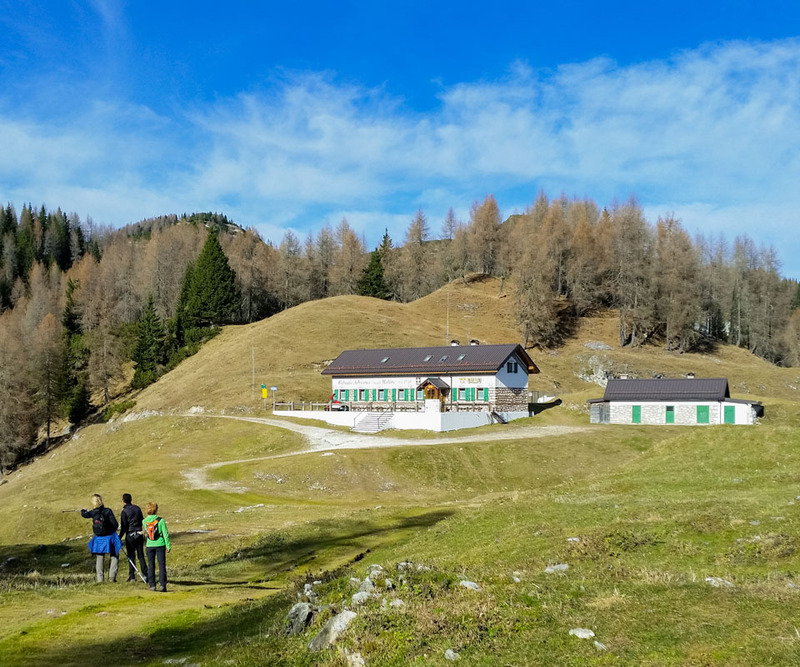 The refuge is a support structure Adriana Moline Hut in which many of the Centro Fondo Gallium ranging from Basic Retreat chalet at Campomulo (about 9 km away, following the shortest track). Those who want to enjoy the tranquility, relaxation and charm of snowy mountain here is the ideal place both for a short relaxing break with good food in the restaurant, both for a longer stay. The refuge Adriana Malga Moline has shared rooms, 25 beds to accommodate hikers and skiers who want to spend a night or more in the silence of the mountains and recuperate, to distribute the next day to a Snowshoe or ski trip more challenging. 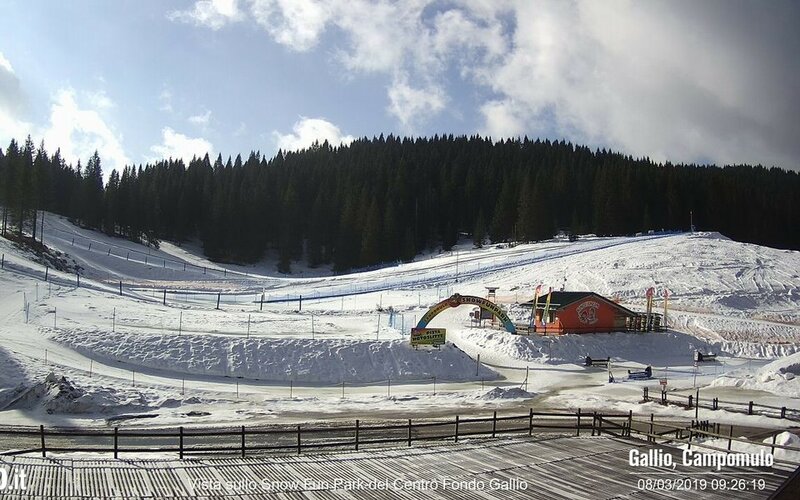 In winter, the shelter Moline is accessible by snowmobiles provided by Centro Fondo gallium, always departing from the chalet at Campomulo. 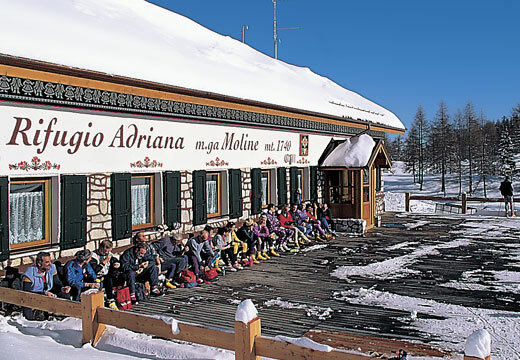 The refuge Adriana Malga Moline offers a spacious dormitory with 25 beds, for guests who wish to spend one or more nights surrounded by the peace and quiet of the mountain. 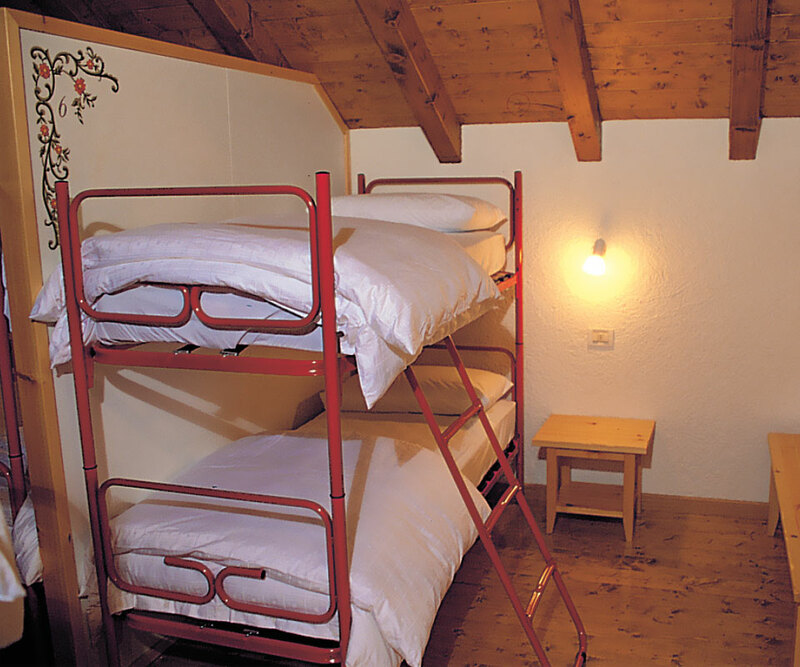 The dormitory is furnished in wood, following the traditional mountain style, warm and welcoming. The bunks are equipped with down comforters, perfect for warm even the coldest nights. In addition, to ensure privacy, are divided every two beds with special booth.